GM Goldman & Associates, Inc. | How Do Drug Formularies and Drug Tiers Work? Every health insurance plan comes with prescription drug coverage. Whether you need to treat poison ivy, a back pain, or chronic high blood pressure, there’s a prescription for you. But, not every health insurance plan covers every prescription, and if you’re not careful, you may end up paying a lot out of pocket for drugs. That’s why it’s critical that you learn about your plan’s formulary, also known as a drug list. 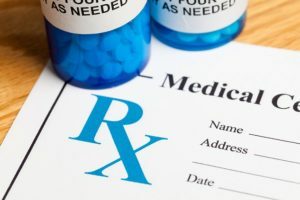 It’s important to understand your health insurance plan’s formulary so that you will know which prescription drugs are available to you, how much they might cost, and whether there are any other restrictions around them. Drug formularies have tiers. That means that groups of drugs are classified according to cost. Formularies are designed to provide guidelines around how your health insurance is going to share the cost of your prescription medication. Tier 1 Preferred Generic: The cheapest prescription drugs available to you are typically limited to generic drugs. Generic drugs are just as safe as brand-name drugs – the only difference is the name and how much money you’re saving. Tier 2 Generic: More expensive generic drugs and preferred brand-name drugs occupy this tier. If you must take a brand-name, you should work with your doctor to choose an appropriate one from Tier 2, as they’re the most affordable. Tier 3 Non-preferred and expensive brand-name drugs: These drugs will cost you a significant amount out-of-pocket. Tier 4 Specialty: The most expensive tier, usually occupied only by specialty drugs, such as newly approved drugs. These drugs typically do not have a specific copay; instead, you will pay a percentage of the total cost. If you have questions about your prescriptions and how drug tiers work give me a call today. Note: Information for this blog post came from multiple sources including What drugs plans cover?